Alumni often ask about how the UBC admissions system works: who gets in and why? 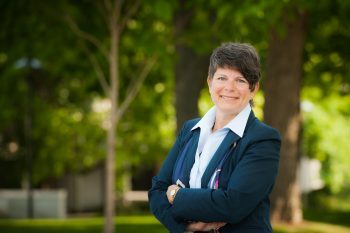 Here, Pamela Ratner, UBC’s vice‑provost and associate vice‑president of Enrolment and Academic Facilities, addresses some of those questions. How many students apply to UBC and how many get admitted? Every year, we receive more than 40,000 applications for our undergraduate programs (domestic, international and transfer students) and roughly two-thirds of those applicants are offered admission. These applicants are very well-qualified students. Last year, we offered admission to 63 per cent of the Grade 12 domestic graduates who submitted applications to UBC (both campuses combined). In comparison, 60 per cent of international undergraduate applicants were accepted. How many students are enrolled at UBC in the current academic year? In September, UBC welcomed 63,370 students to its Vancouver and Kelowna campuses. Of these students, more than 70 per cent are from BC, five per cent are from the rest of Canada, and 25 per cent are international students from about 150 countries. My child had a 90 per cent average but was not accepted at UBC. Why? Admission to UBC is competitive. The admission criteria are determined by three things: (a) how many domestic students apply, (b) the grades they present, and (c) how many new first-year seats are available (as determined by government targets and funding). Demand from international students does not affect any of these factors. In addition, UBC looks beyond applicants’ grades and considers their personal profiles: what kinds of things have they done outside of the classroom and what have they learned from those experiences? As a result, having high grades does not, in and of itself, guarantee admission, particularly to our most competitive programs. In addition to grades, how else are applicants evaluated? UBC uses broad-based admissions criteria, in addition to grades. The information helps us determine whether an applicant will flourish here – not just because of their grades, but also because of the experiences and ambition they bring with them. Applicants are asked to tell us about the things that are important to them, their significant achievements, what they’ve learned from their experiences, and the challenges that they’ve overcome. Alumni volunteers play an important role in this broad-based admissions process, helping, with others, to assess the personal profiles of prospective students. Grades are still of vital importance, but we look at the whole person too. Are only Lower Mainland kids getting accepted into UBC – what about the interior or the north? UBC accepts students from all over BC, Canada and the world. Around 1,200 students from the BC interior and the North were accepted in 2017. We estimate that there are around 1,500 Aboriginal students enrolled across the two campuses, although this may be an understatement as this number relates to those who self-identify as Aboriginal, and some may choose not to disclose their status. In recent years, UBC has made considerable efforts to encourage participation from Aboriginal students. The 2017 incoming class saw a 32 per cent increase of students who identify as Aboriginal entering UBC directly from secondary school. What is the difference in admission standards between UBC Vancouver and Okanagan? As mentioned previously, admission standards vary by how many domestic students apply, the grades they present, and how many new first-year seats are available (as determined by government targets and funding). Because those factors differ for the two campuses and for our many programs, admission standards vary. Does UBC have admissions programs for children of alumni, like some of the Ivy League universities? No. As a public university receiving taxpayers’ money, UBC accepts students based solely on their meeting the admissions criteria. It doesn’t matter who their parents are. In some private US schools, these types of programs, often referred to as legacy admissions, are more prevalent, although there is some evidence that the practice is declining. How does UBC decide how many international undergraduate students to accept? The number of international undergraduate students we can admit is determined by individual faculties and approved by the UBC Senate in accordance with our commitment to provide excellent education and appropriate levels of support for all students, including counselling, advising, library services, experiential learning opportunities, and so forth. Do international students take spaces away from domestic students? Are international students subsidized by BC taxpayers? No. Each year, the provincial government funds UBC for a set number of domestic students. Domestic and international undergraduate applicants are considered separately, and they do not compete for the same spaces. Domestic applicants compete against each other for the government‑funded spaces, while international students compete for spaces that are not government funded. We have always enrolled more domestic students than we are provincially funded for. International undergraduate students pay significantly higher tuition fees, unaided by funding from BC taxpayers. Is it easier for international students to get accepted? The university first evaluates domestic applicants to ensure that the most qualified students are offered admission to the domestic, government‑funded spaces. This competitive process determines the marks required to gain admission – typically far above the minimum standard. With the wide range of educational systems found around the world, it is impossible to precisely equate grades (for example, 75 per cent vs. B+ vs. 4 for an International Baccalaureate Certificate course). Through the competitive process, UBC establishes admission criteria for international students that are comparable with domestic students and validates these equivalencies by examining first-year performance to ensure that international undergraduate students admitted perform at the same level as domestic students with comparable grades. How much tuition do international students pay versus domestic students? UBC’s international undergraduate students pay a higher tuition fee than domestic students that is benchmarked against fees charged for similar programs at peer institutions in Canada and reflective of the value of a UBC degree. Tuition revenue from international students enables UBC to provide an outstanding education and enriched student experience for all students. In the 2016/17 fiscal year, $234 million was received from international undergraduate students compared with $221 million from domestic undergraduate students. International students also provide important economic benefits to the city, the province and the country – sparking relationships that can lead to lasting, mutually beneficial exchanges of research, trade and business opportunities. Yes, there are a range of scholarships and bursaries available to domestic students at both the undergraduate and graduate levels. UBC and its donors award $15 million to incoming students with awards such as the Major Entrance Scholarship, the Schulich Leader Scholarship, and the Centennial Scholars Entrance Award. For those with financial need, there are bursaries and student housing assistance and supplement grants. For international students there are merit-based and need‑based awards, including the International Scholars program, now in its 16th year, and the MasterCard Foundation Scholars Program. Where do the majority of UBC’s international students come from? UBC has one of the most diverse populations of international students in Canada, representing many countries. The top five source countries of international students are China, the US, India, Republic of Korea, and Japan. This year’s first-year undergraduate students come from 131 countries. What about domestic students going abroad? How does UBC ensure global engagement isn’t just a one-way street? International engagement is the hallmark of a globally-ranked university like UBC, one of Canada’s best universities, and it’s one of the compelling reasons students from BC and the rest of Canada come here to study. They know that they will have an opportunity to learn from top faculty members drawn from around the world and to interact with and learn from peers whose diverse backgrounds will enrich their student experience. We encourage our domestic students to broaden their horizons through internationally-focused learning opportunities – enabling them to become global citizens ready to meet the challenges of the world. More UBC students go on exchanges, research, and study abroad programs than students at any other university in Canada. UBC’s Go Global program, for example, partners with 300 universities worldwide, and administers over $1.4 million in international learning awards. What advice would you give to a prospective applicant to UBC? We look at each prospective student as a whole person: a combination of talents, interests, and passions. Our students have a wide variety of backgrounds, experiences, and skills. What they have in common is a commitment to pursue academic excellence in a challenging, rewarding, and supportive environment. Grades, self-reporting, personal statements, short‑answer questions, extra-curricular activities, and applicant interviews. A great deal of information can go into admission decisions. This raises a question: how do Canadian universities use all this information to determine who gets in? Andrew Arida will provide an overview of the rationale and process Canadian universities often use to make admission decisions. He will also dispel the myths and rumours that often surround this. Expect an interactive and lively discussion! Will a Canadian Citizen who resides in the U.S. be evaluated as an international student or a domestic student? Thank you! Canadian citizens and permanent residents are assessed domestic tuition, irrespective of where they live. As a UBC alumni, retired English 12 teacher, and former UBC instructor in the Faculty of Education, I’m interested to know how many of the students who are accepted, register and complete a degree program. Since the Liberal government took away the requirement of writing grade 12 final exams (except for English 12), there can no longer be consistency of grading across the province and I’m wondering if this has had an impact on students’ success in their first year at UBC. A Physics instructor at BCIT has told me that her students are not as well prepared as they were when grade 12 students took a province-wide final exam in her subject area. Would it be wise for our new provincial government to bring back grade 12 final exams? Starla Anderson, Ed.D. Since the days of the mandatory provincial exams, UBC has seen a slight decline in the correlation between BC12 high school grades and first-year performance at UBC. That being said, though high school grades tend to be higher, so is first-year performance at UBC, suggesting that BC high school students entering UBC are still well-prepared for first-year success. UBC is currently in the process of changing the methodology by which we make competitive academic assessments for undergraduate applicants. The new approach will take a more holistic approach, focusing on everything that the applicant has done in the senior years of secondary school. In addition, the assessment will go beyond merely calculating an average, but will also consider breadth, rigour, and relevancy of coursework. Our modelling suggests that this new approach will raise the correlation between BC secondary school grades and first-year performance, leading to better admission decisions. How many students flunk out of first year? In the report, you’ll find that UBC’s retention rates are as follows: Overall, 89% of the 2015/16 cohort of UBC Okanagan undergraduate students were retained into 2016/17; 90% of the domestic cohort and 89% of the international cohort were retained. students were retained from 2015/16 into 2016/17. These retention rates are of the cohort of students who met the Consortium for Student Retention Data Exchange (CSRDE) standard definition; that is, they were first-time (new-to-UBC), full-time, first-year students. The rates measure persistence from first year to second year. Nice newspeak…but. International students are assessed in a different pool from domestic students. Domestic students might need a 90% average to get in, but international students might need only a 75%. Different admissions pools, different required GPA requirements! Set a high target for admitted international students (currently 23% of all students, plan to raise that to near 30%) and international students get it with lower GPAs than required of domestic students. Is this what UBC is for? Where does the money from the higher international students fees go? It doesn’t go to providing more seats and courses for domestic students! Does it go to higher and higher salaries for star faculty and administrators, and more vanity building projects?? I’ve passed your comment on to Pam Ratner, who should be able to offer some insight on your concerns. Thank you for your comments, Dr. Wylie. It is true that different applicant pools require different admission requirements to gain admission. This is required to ensure international students do not displace domestic students; they are treated in an entirely separate admission process. The policy approved by the Senates and Senate Admissions Committees of the Vancouver and Okanagan campuses states that admission standards between domestic and international students need not be identical, but do need to be comparable. With so many different school systems around the world, it’s difficult to determine precise equivalencies on diverse grading scales; hence the idea of “comparable” standards. You can see that the standards are indeed comparable. In 2017/18, on the Vancouver campus, the mean admission average of a direct-entry international student was 89.4%; for domestic students, the mean average was 90.8% — very comparable standards. On the Okanagan campus, the competitive admission criteria are exactly the same for domestic and international students; there is no differential. We are anticipating that for 2018/19, based upon the current size of the applicant pools and the availability of spaces, many programs on the Vancouver campus will require international applicants to have a higher admission average than their domestic counterparts to gain admission. And, on the Okanagan campus, the standards will remain equal. A domestic student we know applied and was accepted into Sauder. He says that class group project is a huge struggle because of the 4 students assigned to the group, 50% does not know how to string an English sentence together without grammatical error let alone help build a case that would support a thesis. The 2 domestic students end up with most of the project load, “carrying” in his words the other 2. My question, and of many others even in faculty, is how these international students were admitted in the first place. I would also encourage you to ask the student you know to connect with Dr. Kin Lo, senior associate dean of students at the UBC Sauder School of Business, to raise his concerns, should he wish to. The student can email Dr. Lo at kin.lo@sauder.ubc.ca.